I decided to drop my own hosting and moved to WordPress hosting. Since 2007 this blog was hosted at http://urbas.tk but recently it was moved to https://radektech.wordpress.com. Recently I decided to finally give Eclipse 4 RCP a try. I created small application in a few minutes. 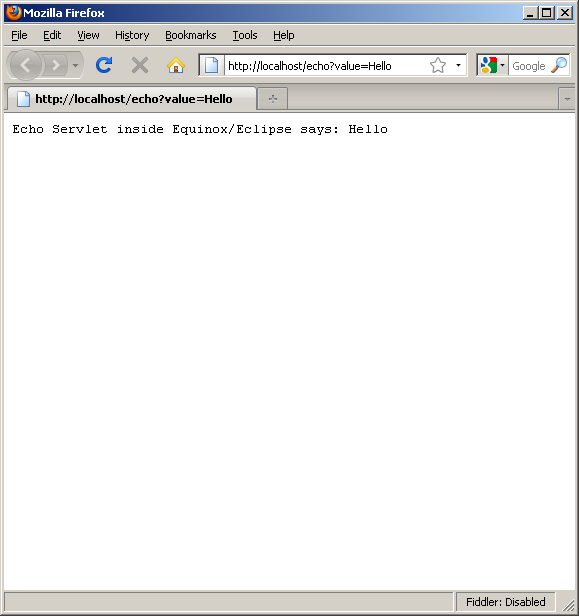 Everything worked smoothly in Eclipse IDE. Next step was to prepare Maven build. Using Tycho 0.16.0 I was able to build my brand new RCP application using command line. The problems started when I tried to run application built by Maven. Application starting up fine but no controls being rendered inside a part. Eclipse remote debug helped me to determine that an part object was instantiated as expectged but a method creating all the controls wasn’t actually called. For some reason annotation @PostConstruct wasn’t respected. In order to resolve this issue I had to replace bundle javax.annotation 1.1.0 with version 1.0.0. Eclipse Juno IDE is shipped with version 1.0.0 so everything worked fine there but Tycho picked up version 1.1.0 from Eclipse p2 repository for Juno. -compress parameter is optional. It compresses artifacts.xml and content.xml to jar (zip) files. 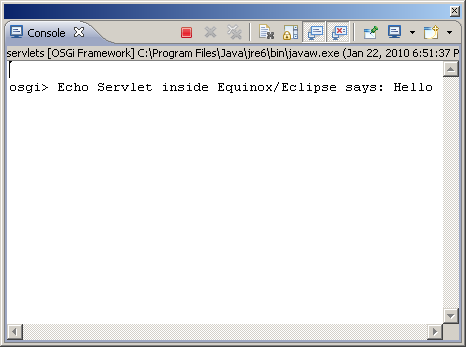 String outputText = "Echo Servlet inside Equinox/Eclipse says: "
Update. New UI for installing and updating new features in Eclipse really leverages user experience. After introducing p2 in 3.4 a lot of people missed old Update Manager. With more stable and matured p2 in 3.5 version hopefully no one is missing 3.3 style updates any more. One capability I would find useful there is installing particular Installable Units instead just these which are based on Eclipse features. In p2 world all IUs are supposed to be equal. Setting the cookies in Browser. I’m really happy to finally see setCookie(value, url) method in SWT Browser class. That’s the part of API that was really missing there to make embedded browser more functional in Eclipse RCP world. Next step would be probably providing SWT support for the Webkit based browsers. Target Platforms. 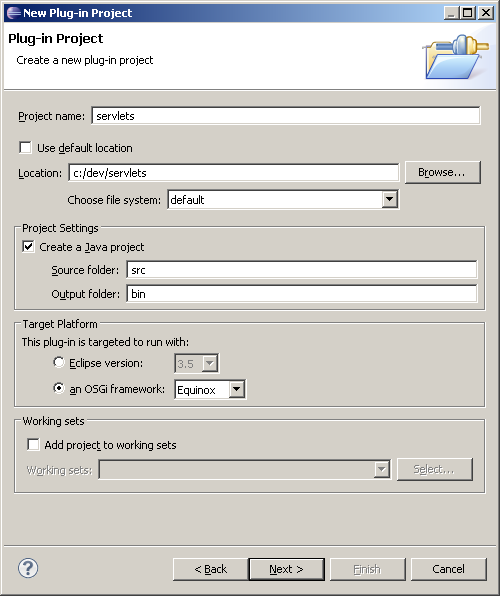 Galileo way of defining target platform is another item I find really useful for Eclipse RCP. Finally at least partially runtime for Eclipse RCP application can be independent from the plug-ins set in Eclipse IDE used for development! Mylyn. Previous Mylyn version satisfied most of my requirements to work with Bugzilla. But new Mylyn Editor just feels better for me even if it took me a day or two to get used to the context activation button being moved from right to left side of the toolbar. OSGi Declarative Services. I’m excited about declarative services in Equinox. I didn’t have opportunity to try it yet but I have high hopes for the near future!